"Do you have Prince Albert in a can?" "You'd better let him out before he suffocates." 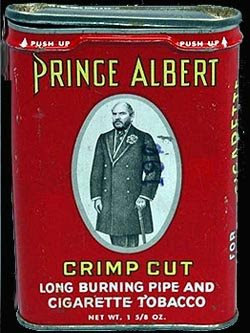 I doubt if many people remember Prince Albert in a can tabacco. I always thought it was Queen Victoria's husband on the front of the can. Apparently it isn't. Regardless, it made for a great telephone practical joke. I think technology has eliminated most practical jokes involving the telephone. As much as I love caller ID, it has cut down on those random dialing of telephone number pranks I used to so love as a kid. I mean, when was the last time you called someone up and asked them if their refrigerator was running? If you use that joke now most people would just *69 and call you back screaming, "Yes, it's is running and I caught it." I still like practical jokes though. But for the life of me, I can't figure out why practical jokes are called "practical" jokes. They aren't like sensible shoes or other "practical" things middle class America would seem to embrace. "Hey honey, have you seen that paper bag with the dog crap in it? I was going to go over to the neighbor's house, set it on his front porch, light it on fire, ring the doorbell and run." "I think it's in the cabinet under the sink next to the scouring pads." "Thanks, I found it. I'll be right back." Practical jokes aren't really practical at all. They are actually downright inconvenient. The really good ones can take quite some time to carry out. 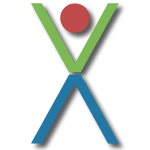 Even a "kick me" sign or thumbtack on the chair require some discrete maneuvering to implement. And balancing a bucket of water on a partially open door requires patience and a delicate touch. I also wonder what the distinction between a practical joke and a prank are. Why is a joke practical and a prank childish? Wouldn't the Prankster have been a good enemy for Batman along with the Joker and the Riddler? And why are they called joy buzzers and whoopee cushions when they don't make you happy? That's funny, I think I'm thinking about things too much again. Don't forget the very popular mouse trap chewing gum, the squirting flower, the shoe polish on the binocular eyepieces, and the paper snake that springs out at you when you open a can. You just can't go wrong with the classics. Lights, Let me guess, you stopped being invited to parties. Just a hunch. ughhh i hate practical jokes!!!! Would you steal the sparkle from a young child's eyes the first time they sit on a whoopee cushion? I think not.